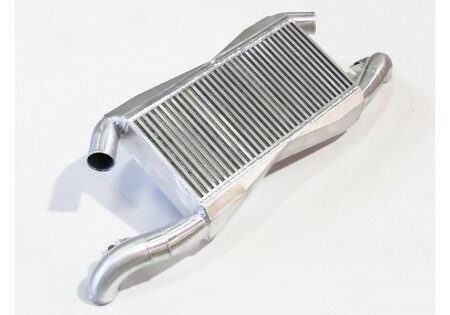 The AAM GT800-R Intercooler features a vertical flow twin inlet / twin outlet core with an increase in volume, fin-count and surface area (taller/wider/deeper than OE ). AAM specifically chose a core size which struck a balance between ambient air quantity, frontal area and plate area - just the right placement, thickness and core-plate area. By approaching the intercooler design with balance in mind, we were able to achieve a core design which retained the front impact beam and the OE ram shroud to ensure a high volume of ambient air reaches the core. Additionally, the design and dimensions of the intecooler reduce internal drag, increase surface and core-plate area as well as volume without a weight penalty. 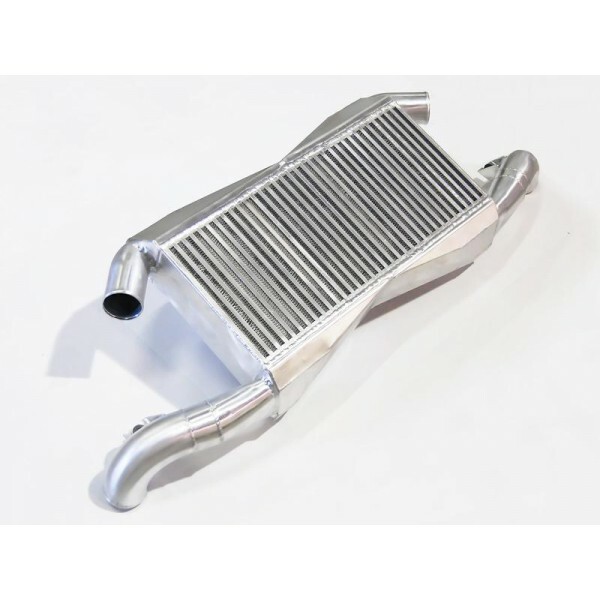 The result is an incredibly efficient yet lightweight intercooler which dramatically reduces air inlet temperature without significant pressure loss. 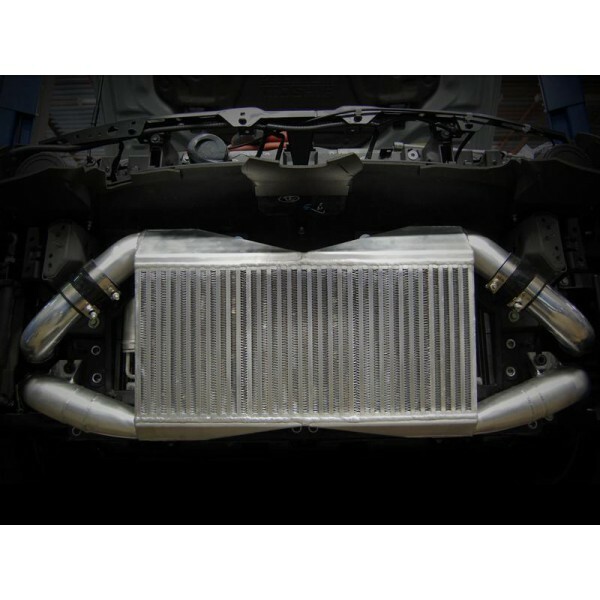 By decreasing the air inlet temperature, the AAM intercooler raises overall density of charged air allowing the engine and turbochargers to operate more efficiently; thus increasing overall engine power output.